Buy Tennis World Tour - Legends Edition and get the games download now! 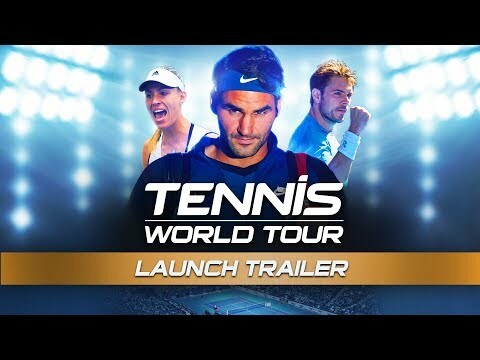 TENNIS WORLD TOUR IS THE NEW BENCHMARK SIMULATION WHICH FANS HAVE BEEN WAITING FOR FOR YEARS. Federer, Monfils, Zverev, Kyrgios… The game includes the main stars of the professional circuit. Whether in singles or doubles, players can use their own style of play to try and become n°1 in the online world rankings. THE LEGACY OF TOP SPIN 4 THE TOP-SELLING TENNIS GAME OF ALL TIME. A COMPLETE EDITION FOR THE BIGGEST FANS OF TENNIS GAMES. 30 OF THE BEST PLAYERS FROM THE OFFICIAL CIRCUITS, including Roger Federer, Angelique Kerber and many legendary players. PERFECT REPRODUCTION OF PLAYERS AND THEIR MOVEMENTS, using motion capture and photogrammetry. ALL OF THE GAME MODES: exhibition, World Tour, in singles and doubles, local and online. A COMPLETE CAREER MODE: practice, tournaments, staff management, equipment purchasing… Each player can experience the career of a real professional. A TACTICAL DIMENSION NEVER BEFORE SEEN IN A TENNIS GAME. Players can set the key skills they will use during match play. A GAME DESIGNED FOR COMPETITION. In addition to a permanent world ranking system, there are new online challenges available each week.